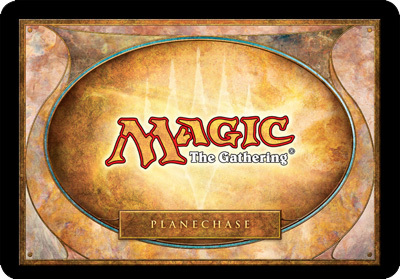 Planechase is a variant of magic, often played in multiplayer, using large Planechase cards that represent an area of a world in the multiverse of Magic: the Gathering. 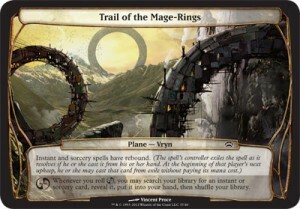 There were two releases of the sets, in 2009 and 2012, and the official guide to playing Planechase is done according to this article. However, this isn’t the only way to play Planechase, as many players play it with one single deck, or a planar map, or in conjunction with other casual formats! Planechase is meant to be played multiplayer, whether you’re going with pre-constructed decks or your own builds! Play proceeds around the table, with each player using the plane currently on the top of the stack on their turn for them, if it affects them. As players choose to roll the planechase die or attack, the format should be fun and engaging for all, depending on what plane is currently active. -During the game, one (or sometimes more) plane card (or phenomenon) will be face up, in the command zone. The command zone is the same zone used for Commanders, Emblems, and other over sized game cards. As long as a plane card is face up in the command zone, its abilities affect the game. -If you roll the 1st side, with the planeswalker symbol, the current plane is placed on the bottom of the planar stack, and the next plane is revealed. This ability uses the stack, so players can respond before leaving the plane. If you roll the 2nd symbol, the chaos symbol, you get the chaos ability on the current plane. If you roll a blank face, nothing happens. If you roll the chaos symbol, the face-up plane card’s chaos ability triggers. Players may cast instants and activate abilities before it resolves. Each phenomenon card has a triggered ability that triggers when you “encounter” it, meaning when you move that card off the planar deck and turn it face up. When such an ability triggers, it’s put on the stack, then players may respond by casting spells and activating abilities. To resolve the triggered ability of a phenomenon card, the player who encountered that phenomenon performs its instructions and then planeswalks. To planeswalk, the player puts the face-up phenomenon card on the bottom of its owner’s planar deck face down, then moves the top card of his or her planar deck off that planar deck and turns it face up. Planeswalking after encountering a phenomenon works the same way as planeswalking by rolling the planar die. 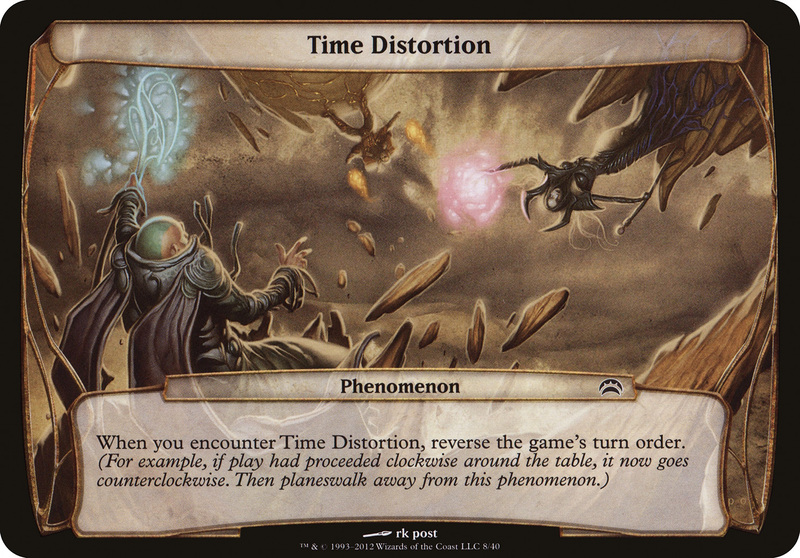 If a face-up phenomenon card’s “When you encounter” ability is neither on the stack nor waiting to be put on the stack (because it’s been countered or otherwise left the stack without resolving), the planar controller planeswalks. This is a state-based action. -Your planar deck must have at least ten cards in it. -No two cards in your planar deck can have the same name.